Delivering on the promise of timely and consistent management of communications can be especially challenging for large enterprises, regulated industries, and government agencies who receive and send thousands of emails, letters, reports, statements, and other communications every day. How can you ensure proper coordination, while remaining compliant with changing laws and regulations? 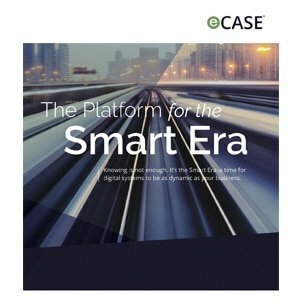 Uncover the power of eCase Correspondence, a highly-configurable case management solution that automates the management and tracking of all inbound, outbound, and internal correspondence through a single, unified solution. eCase Correspondence, an enterprise correspondence solution, manages the capture, creation, approval, and delivery of secure and interactive correspondence for improved productivity and greater levels of customer satisfaction. Offering a central access point for handling correspondence and requests from emails, letters, phone calls, and other essential channels, eCase Correspondence streamlines correspondence from creation to archival, and accelerates communications handling and response times. 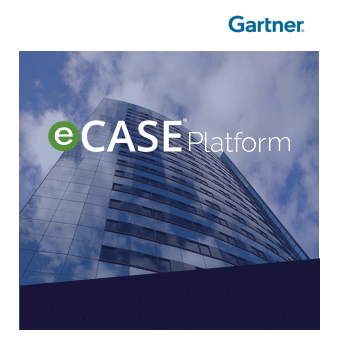 Plus, eCase Correspondence is built on the eCase Platform, providing powerful case management tools to adapt to unique organizational workflows and terminology. Take control of your enterprise correspondence processes and easily configure a wide range of workflow options. From pre-defined paths that provide step-by-step precision to ad hoc or hybrid routing that give users more flexibility to choose the next tasks in a particular case. Automated workflow and work queue management enable supervisory staff to monitor the process from end to end, adjusting workloads as necessary to avoid bottlenecks. Centralize key documents, dynamically generate content, and collaborate across teams. Integrated document review and redaction offer seamless document preparation for even the most sensitive of documents. Alerts and notifications warn of any delays in processing, aiding in compliance with time-related restrictions. Intuitively assemble individualized customer correspondence using letter and email templates, pre-approved content blocks, and custom-authored personalization. Built-in security and auditing provide authorized access assurance and complete visibility of all process participants, providing control and insight into who accessed what and when. Create compelling standard or ad hoc reports and dashboards to communicate priorities, track KPIs, and track status. Standard and ad hoc reporting features deliver real-time insight when you need it. eCase Correspondence scales enterprise-wide, providing the ability to coordinate responses and reviews across, up, and down pre-defined Operating Unit hierarchies. Organizations can intake a request at the highest levels, initiate workflows that distribute it for processing at the lower-levels, while tracking response times for compliance. At the same time, individual Operating Units can intake and process correspondence local to their operation, only escalating as required. Whether it’s welcome packs, order confirmations, policy directives, invoices, or statements, personalized documents build customer loyalty and long-term satisfaction. Process consistency, built-in alerts and notifications, and smart routing ensures proper handling of requests in a timely and compliant manner. Eliminate paper-based workflows, reduce manual hand-offs, and exchange documents electronically to save time and reduce paper-handling costs. Improve process efficiencies, reduce errors, and avoid unnecessary process delays by adopting an automated solution.